Everyone celebrates at the first Sadie Hawkins dance. High School dances. The worst form of torture bestowed onto the planet Earth (besides Middle School Dances). Awkward flailing, standing around in circles, and a million eyes on the few that do slow dance makes them some of the most memorable high school experiences. It’s a tradition that happens at every school, and touches every student in the United States: Good and bad memories alike will be laughed at for years to come. The Cannon Falls Student Council decided to add another future memory to their list: the Sadie Hawkins dance. Contrary to the custom of boys asking girls to dances, Sadie Hawkins prides itself in doing the opposite – girls ask guys. In addition, it was country themed, and matching flannels for couples were a must. At the entrance to the CCC there was lights, hay bales, milk cans all decorated on and around and President, Grant Schlichting’s 1970 John Deere tractor and wagon. The decoration and preparation for the dance was a success – however the turn out was debatable. Dances already only attract a small crowd, and making it country themed only made the crowd smaller. “To pay off the DJ we needed seventy [people] to show up, and we had fifty,” Vice President Ayers said. 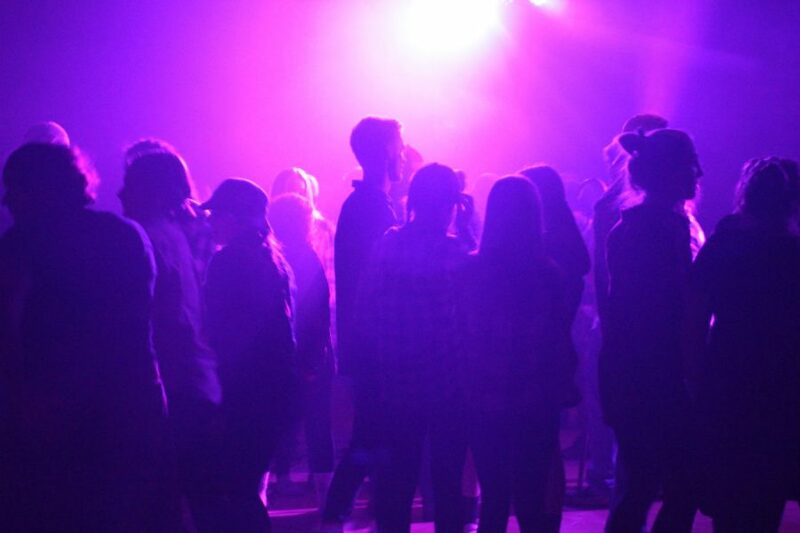 “But those that were there had a blast, and it was worth starting this tradition and hopefully getting it bigger for next year.” According to student council records, their best dances of the year is winter formal and homecoming, coming in at a whopping ninety-five students. Although it may have borderline a bust, the Council has plans for next year to attract more to the dance. The flailing won’t stop, the random circles still will just sway, and, without a doubt, the awkward slow dance will continue on. But for those who let loose and enjoy themselves, the dance will be a wild rodeo, and the slow dances a meaningful experience.